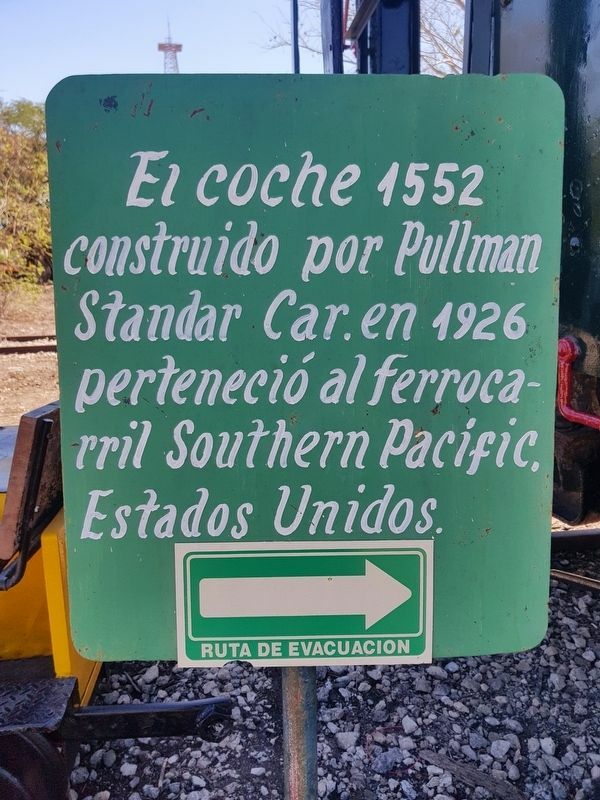 El coche 1552 construido por Pullman Standar Car. En 1926 perteneció al Ferrocarril Southern Pacific, Estados Unidos. The car 1552 was constructed by Pullman-Standard Car Manufacturing Company in 1926. It belonged to the Southern Pacific Railroad of the United States. Location. 20° 58.622′ N, 89° 36.707′ W. Marker is in Mérida, Yucatán, in Municipality of Mérida. Marker can be reached from Calle 43 just west of Calle 42, on the right when traveling west. Touch for map. 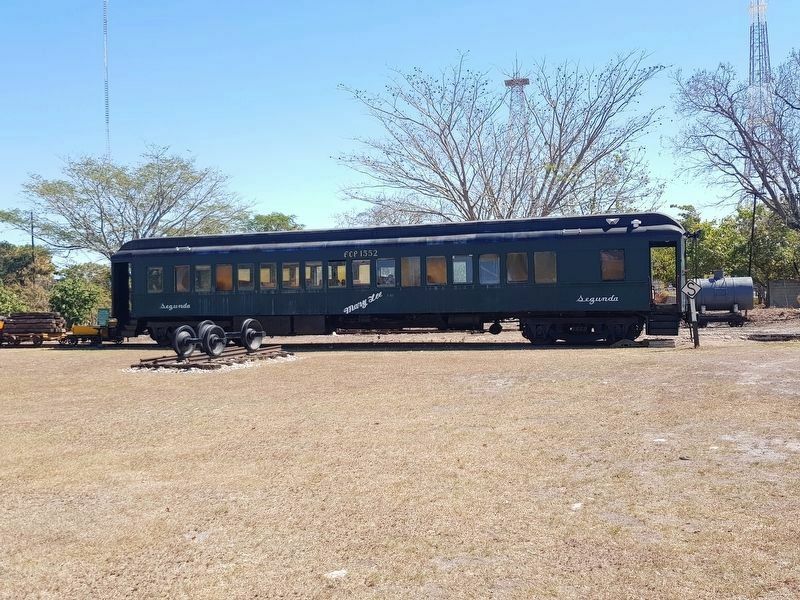 The passenger car is located at the Museo de los Ferrocarriles de Yucatán A.C. (The Yucatán Railroad Museum). Marker is in this post office area: Mérida, Yucatán 97000, Mexico. Touch for directions. The car includes the name "Mary Lee" painted about at its midpoint. 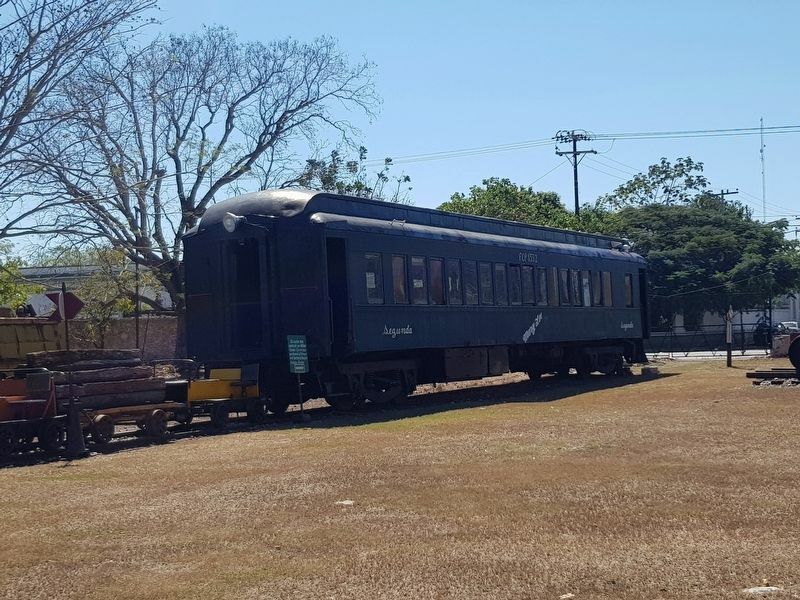 of this marker); Passenger Car 4285 (within shouting distance of this marker); The Old Rendón Peniche Sanitorium (about 90 meters away, measured in a direct line); Héctor Victoria Aguilar (about 90 meters away); "La Plancha" and Railway Station (about 120 meters away). Touch for a list and map of all markers in Mérida. 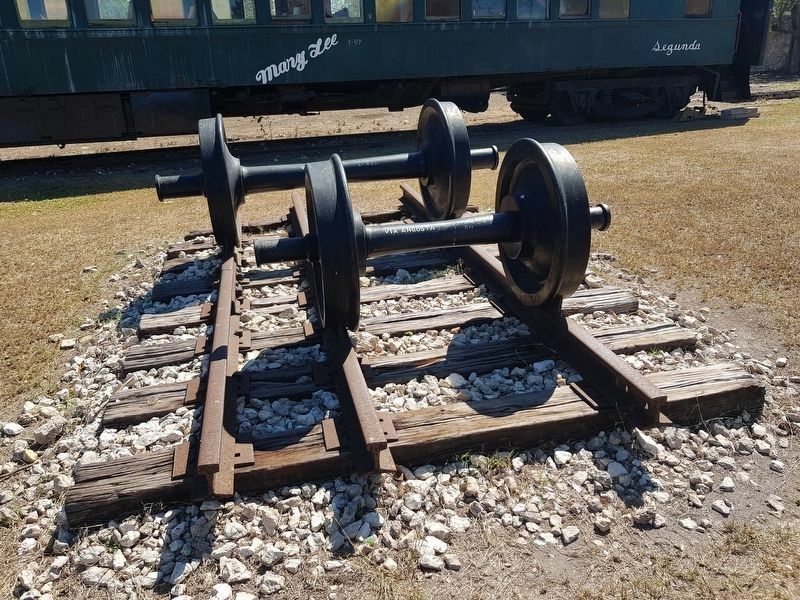 The wider axle reads "Via Ancha (Standard gauge) 4 ft 8 1/2 in". The smaller axle reads "Via Angosta (Narrow gauge) 3 ft."
More. Search the internet for Passenger Car 1552. Credits. This page was last revised on March 10, 2019. This page originally submitted on March 8, 2019, by J. Makali Bruton of Querétaro, Mexico. This page has been viewed 113 times since then. Photos: 1, 2, 3, 4. submitted on March 8, 2019, by J. Makali Bruton of Querétaro, Mexico.